The Montana Children's Center served the needs of support and care of dependent or neglected children who required the separation from their families or foster families or for whom foster care could not be obtained. The facility was closed in 1975 and has remained unused since the 1970's. Since April of 2005 the Adams' have spent time assessing the viability of the buildings, stopping degradation of the buildings, updating utilities and laying the groundwork for the facility to some day participate as a viable economic entity in the Twin Bridges community. 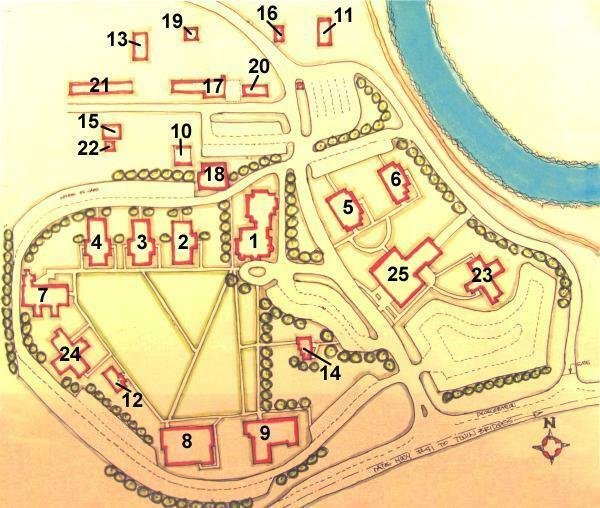 The map provided on this page is designed to allow you to see the current status of each building in the twenty six building compound. Click on a particular building to view the details and images contained. We are providing historic images, images from the time of our acquisition, and images of updates since our acquisition. 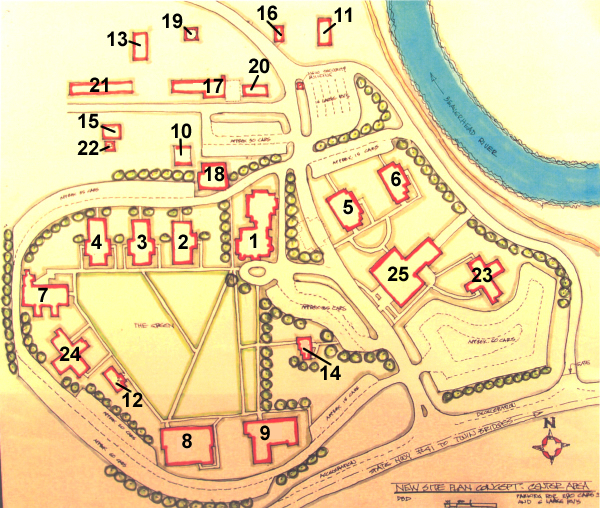 Building floor plans have been gathered from various sources including historic designation applications, historic society archives, architectural archives and previous appraisals of the facility. This is a conceptual drawing. It has not been verified by an architect.